Hi, I don't know if this would be the right section for it, But it does follow the coding theme, so here we go. 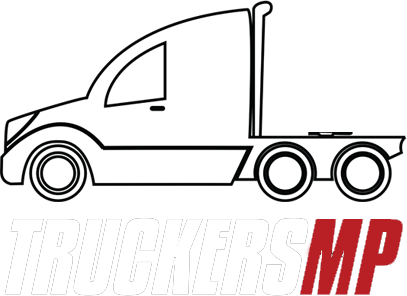 Me and a friend have spent some time in coding an alternative to Virtual Trucking Manager, Our site offers the same experience for multiplayer companies, Although fixes some of the problems that Virtual Trucking Manager has, such as fixed fine prices, as well as some others. We have managed to put this up in less than a week, in a beta form and would love for people to try it and give feedback on it, please allow for bugs and bug fixes to take place. Our site is VTManager.com, All connections and accounts are securly hashed and are encrypted through ssl. Happy trucking and thanks for any feedback. I am also one of the developers for this project. Please do give us feedback as this is vital for us to continue development and implement what people want. Just an update for you few following, we are adding support for ATS also, please give us a few days for this to take place, as we are just getting the core systems running at the moment. We are currently adding profiles, as well as other little things. Thanks for this info, as said, we have been at it a little over a week, trying to get the site to a useable standard. As this has mostly be done, I Myself will look into it and see what I can do. Thanks for the info through, very much appreciated. This looks pretty cool! Keep up the good work.